Seems like just yesterday when I was informed by the big boss to prepare for the training in Australia. 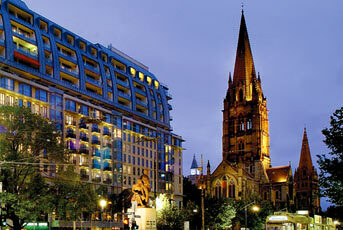 Now I’m just counting days and I’ll be off to Melbourne. Time flies so fast…. so fast that i thought everything is alright and well taken cared off. Surprsingly only our VISAs were done the tickets and the hotels are yet to be arranged. Geez…had I not followed up the hotel recommendations from TMForum I will not be able to forward such info to our travel coordinator and eventually knew that out tickets are not yet arranged. Good thing it was not really too late. More good thing… I am travelling busines class YAHOOOOOOO! Wow i just love the thought of getting some air comfort while travelling not to mention the mileage credit. Fairly decent and comfortable Clarion Suites...not bad at all! The second recommended accomodation is the Clarion Suites Gateway Apartments. It’s a few meters away from the training site. I am more inclined to be booked here, it feels like home. The one bedroom apartment is good enough. It’s more practical compared to Westin. I saw their room rates it’s not cheap but definitely far from hotel rates. The third and the farthest (but not really that far) is Holiday Inn at Flinders. The hotel is reasonably proced compared to Westin. I also wouldn’t mind getting booled in this hotel although the company may not save from the transportation cost as it doesn’t look like just walking distance from the training site. The first and second accomodation options are the better ones to take. It saves on time and transportation. Although I feel that Westin is too expensive and I wouldn’t mind staying in a typical business or 3-star hotel. 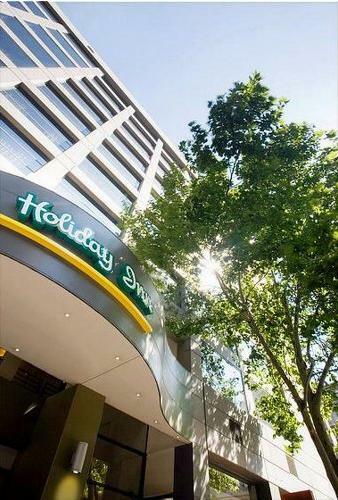 Well if taking is a cab is not that hard and expensive then Holiday Inn is also worth it. I have not heard of any bad traffic moment in Australia so its probably non-sense to talk about timing and transportation problems. We might be spending time to travel anyway (but at least very short distance) when we meet with Telstra counterparts… side trip –isn’t bad maximizes the opportunity to benchmark with a world class telco operator in Australia. Maybe I should start packing this weekend because the next week will surely become a busy one. Since I will be leaving for a week I had to turn over some tasks to ensure continuity of my team’s operation. UAT of our CRM-Billing system has just started and this is going to keep me restless while out of country. I guess physical comfort will not be maximed with mind floating back to the Philippines hoping everything turns out well. Hmmm its just timing to do some packing list, i tend to be forgetful these days and the least thing that I would like to do is finding convenience store at night to buy last minute essentials.